I do not understand the vitriol that this episode of LOST can bring up. “Tricia Tanaka is Dead” is generally considered one of the worst episodes of the series. Yet, I absolutely love it. I suppose I can see the complaint that not much happened, mythology wise, in the story. Season three had been a slow start with sprinkles of brilliance and some might have watched “Tricia Tanaka” with an eye already upset with the pace. All of that is your own problems. I still cannot accept that anyone who knows and cares about these characters wouldn’t be filled with joy and hope at the end of the memorable episode. The scenes with the four actors are some of the best work of the series. 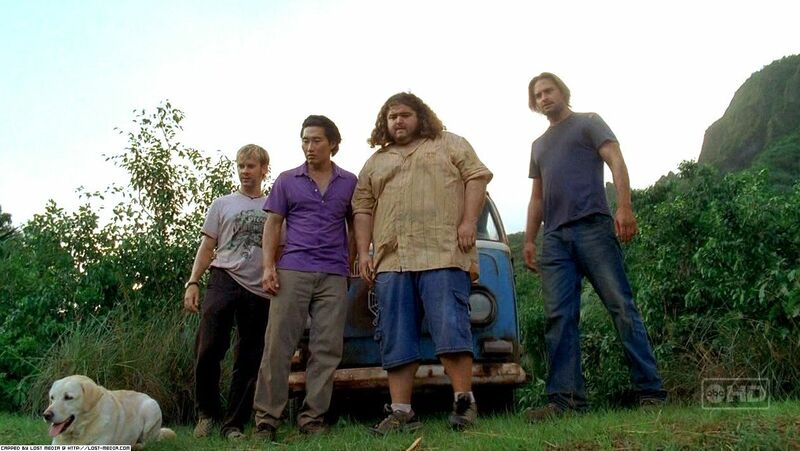 Hurley, Sawyer, Jin and Charlie have undeniable charisma and work some comfortably well together that their scenes are just magical. You can see how much these actors enjoyed working together here. It is their energy and fun that comes through the screen and helps to create the magic of the scene. Sawyer teaching Jin some important English phrase all women want to hear (“You were right,” “I’m sorry,” and “Those pants don’t make you look fat”). Hurley calling Sawyer “Red Neck Man” and Sawyer appreciating the effort. The interaction with Roger Work Man (“Skeletor”). The Dharma beer. Sawyer screaming at the head in the car. There is just so much here that works wonderfully. There has been a lot of darkness this season, and an episode like “Tricia Tanaka is Dead,” which is filled with joyous fun and great humorous dialogue, is a welcome distraction. Maybe it does not move the story forward much, but it shows you the magic that this cast is capable of and how entertained you can be if you let yourself. Every episode does not have to be deeply rooted in mythology to be a good episode. Although the car and Roger ARE mythologically based. We just don’t know it yet. I enjoyed Cheech Marin as Hurley’s absentee father. I’ve seen some complaints because they gave Hurley daddy issues like so many other characters, but that does not bother me wither. Cheech was solid as Hurley’s dad and fun to watch. And the episode prepared to kick off the second half of the season with Kate going to find Rousseau to tell her about Alex, whom Kate believes is her daughter. Take the haters away. I loved the episode “Tricia Tanaka is Dead” and you should too. Maybe only Tricia Tanaka should be against it. She was hit by a meteor. Or an Asteroid. Hurley doesn’t know the difference.